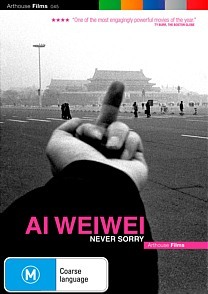 Ai Weiwei: Never Story DVD Review Never Sorry is at once electrifying, galvanising and harrowing, and a deeply intimate ode to a fascinating, inspiring life story that is still unfolding. 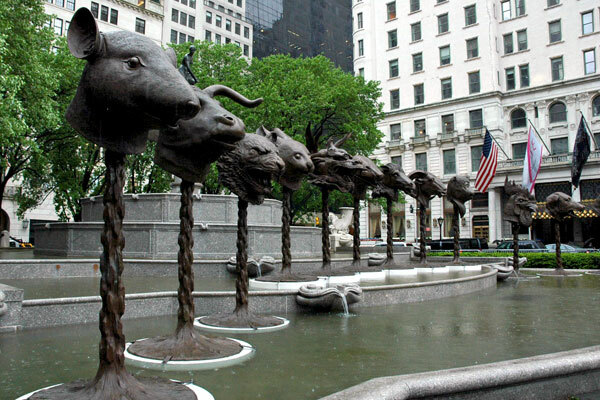 Chinese artist and activist Ai Weiwei has been known amongst Western art circles for the past several decades, but rose to global prominence following his vocal denunciations of the Chinese government in the wake of the Sichuan earthquake. Weiwei and his supporters investigated the deaths of thousands of children whose poorly constructed government schools collapsed in the quakes, a lapse the Chinese authorities were prompt to deny. The artist further aroused the ire of the Communist regime following his widespread criticisms of the 2008 Beijing Olympics as little more than a vulgar propaganda display, and his continued use of blogs and social media to challenge China’s totalitarian political system in no uncertain terms. Weiwei is now the most prominent artist in his home country, and its most persecuted. In recent years Chinese authorities have arrested him, kept him under constant surveillance, demolished his newly constructed studio and detained him in solitary confinement without charge. On one occasion, in order to keep him from testifying on behalf of a fellow dissident, police arrested him in the middle of the night, assaulting him so severely in the process that he later required brain surgery. A government investigation later found no evidence of wrongdoing on the part of the officer who committed the assault. Currently Weiwei’s passport is currently being unlawfully held by authorities, making him a virtual prisoner in a country where he is subject to continued harassment, and in their attempts to ruin him financially the government has recently brought a number of spurious economic charges against the artist, alleging that amongst other crimes he owes several million dollars in unpaid taxes. Throughout these relentless persecutions Ai Weiwei has somehow retained his humour, his creativity and above all his humanity, all of which are in abundant evidence in Alison Klayman’s superb new documentary Never Sorry. Granted unprecedented access to the artist as well as his friends, colleagues and family, the film was three years in the making and provides a fascinating record of Weiwei’s work, gallery exhibitions and ceaseless activism. Invaluable both as a portrait of a creative genius at the height of his powers and as a potent denunciation of a political system which finds unfettered individual expression anathema, Never Sorry is at once electrifying, galvanising and harrowing, and a deeply intimate ode to a fascinating, inspiring life story that is still unfolding. A short Australian exclusive interview with director Alison Klayman (7:38) and a handful of trailers.